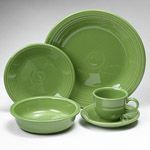 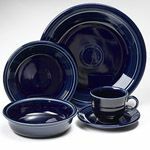 The Fiesta dinnerware line first debuted in 1927. 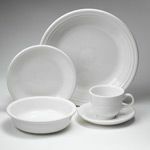 It was an immediate sucess and by its second year of production, more than one million pieces were produced. 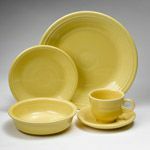 The shapes of the Fiesta dinnerware line were created in an art deco style featuring concentric circles. 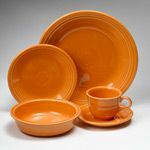 In 1972 production stopped after sales slowed. 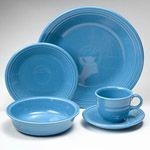 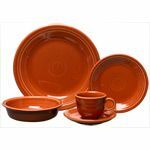 In early 1986 the Fiesta dinnerware line was re-introduced with a new color palette and an improved body and lead-free glaze. 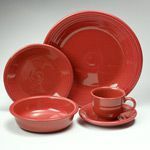 All pieces of Fiesta dinnerware made today are manufactured in the USA and lead free. They are also dishwasher, oven and microwave safe. 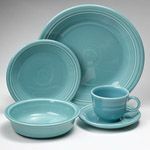 Don't be afraid to limit yourself to one color. 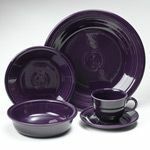 Be bold; mix and match colors. 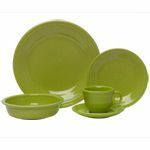 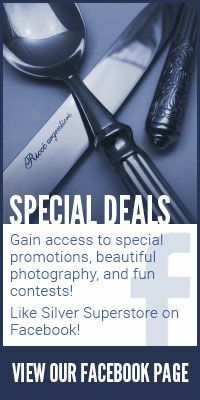 Click on your color of choice below for a complete list of available items and pricing.